EarthScholars James Wandersee and Renee Clary are also mythbusters. They look at the social history that “feminized” flowers and then report some surprising facts, about soldiers, botanical gardens, and the plant-loving guys of Gen Y. Congratulations and many thanks, Jim and Renee! CNN.com recently posted City Guides: Life on the Road, a feature suggesting things to do at the top ten US business trip destinations. A single “Great Escape” experience in each of the ten cities was recommended specifically for men, another ten escapes for women travelers. The guides directed women to visit a botanic garden in 20% of the cities but never mentioned gardens for men, anywhere. Here’s evidence again of a prevalent myth: that most US males do not like flowers. Surprisingly, even women help to sustain this myth. Blogger Darren James wrote: “‘My [female] friend has a real problem with men liking flowers. It’s just wrong for men to like flowers. It’s not masculine enough, it’s ok for men to like plants (and only just), but not flowers [emphasis added].” The problem with his female friend’s qualification about what is acceptable for men is that the majority of plant species are flowering plants! Florist industry surveys indicate that about a third of US women who regularly send flowers have sent flowers to men. However, many florist and gift-giving websites caution readers that men may only respond positively IF they receive particular kinds of flowers, for example (a) a blooming cactus; (b) dark-colored flowers; (c) tall and sturdy flowers; or (d) flowers surrounded by strong, stiff, or spiky foliage—such as palm fronds, leatherleaf, cat-tails, or magnolia leaves on branches. Manly presentation of mums, or simply beautiful? Floral arrangements with a monochrome color palette are suggested for men, displayed in decidedly virile containers such as beer steins, fishing creels, wine carafes, and hollow ceramic NASCAR race cars or footballs. Where did all these archaic rules originate? The answer is surely complex, and this brief article cannot possibly address the subject thoroughly. However, one factor must be the antecedents in history. For example, the US may well have been influenced by early 18th-century English society, where, according to Ann B. Shteir, botany was the most socially sanctioned science that women could study and practice—it was seen as a valuable pursuit for both their amusement and improvement. “Botany came to be widely associated with women and was widely gender coded as feminine.” The Linnaean sexual system for naming and classifying plants by the reproductive parts of their flowers was simple, and was thus deemed compatible with women’s greater inherent knowledge of and interest in human reproduction. In 1827, a biography about Linnaeus’s botanizing adventures in Lapland was published— written in the style of letters from a father to a son—in an attempt to make botany more attractive to boys. Between 1830 and 1860, as botany was being transformed into a modern and rigorous science, strong efforts were made to “defeminize” the subject, but the subject remained “gender-tagged” as feminine well into the 19th century. 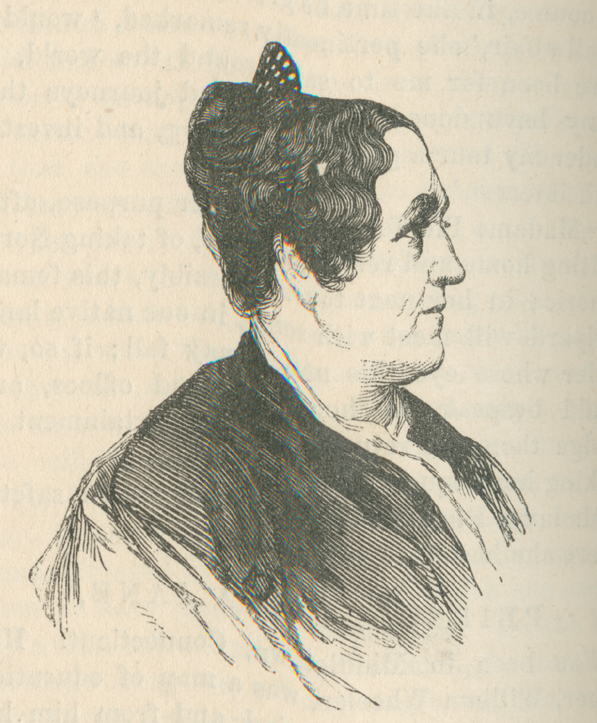 Patsy Ann Giese observes that when higher education was opened to American women in 1836 at Georgia Female College, and subsequently in other states, women such as botanist Almira Phelps greatly influenced future botanists. She had a notable teaching and publishing career across seven states and was only the second woman elected to membership in the prestigious American Association for the Advancement of Science. Giese writes, “By the end of the century, nearly 400,000 copies of her Familiar Lectures on Botany had been sold.” These and many other preceding events, phobias, and stereotypes are likely to have contributed to the current residual anti-male, floral mythology. Is anyone doing unbiased, non-conflict-of-interest research that helps debunk the male myth? A 26-state US study on public understanding of plants that we conducted showed that Generation Y male teens (US babies born 1977 to 2002) pay significantly more attention to plants than Generation Y female teens, reversing a trend we identified in an earlier generation via a previous multi-state study. In the past, US men’s interest in plants has tended to start at a low level during the teen years and increase with age. This appears to be changing—but the myth lingers on. A Texas A&M study found that the presence of flowers in the workplace improved men’s creative problem-solving skills. The men who participated in the 8-month study in a variety of office environments generated 15% more ideas (a measure of productivity) when they worked in a “florally enhanced environment.” The females in the study showed similar but smaller gains. What about CNN.com’s stance regarding men and botanic gardens? The US has had fewer botanic gardens and arboretums and more zoos and aquariums per capita than comparable countries. Over the past decade, though, the number of US botanical gardens has quadrupled, from 100 to 430, approaching parity. Each of the ten US cities in the CNN list has a respectable botanic garden and/or arboretum. We uncovered no definitive evidence that men are under-represented as visitors at US botanic gardens. In Australia, one study showed that the percentage of males over 18 who visited a botanic garden in 2002 was only 3.2% less than females—and this may be due, in part, to life expectancies. One official we consulted at a major US botanic garden admitted that its public programming rarely targeted men specifically—children, teens, women, couples, and seniors, yes; but not men. We were also told that most US botanic gardens’ visitor databases do not distinguish between male and female visitors, since admission fees are the same. Although flowers have traditionally been associated with femininity and relegated to women in society, the rules have always been different when applied to war. For example, it was observed in military literature as early as the Napoleonic Wars that red poppies grew on the graves of dead soldiers in the battlefields of northern Europe. (Poppy seeds will lie dormant underground for years and bloom if they are plowed up.) 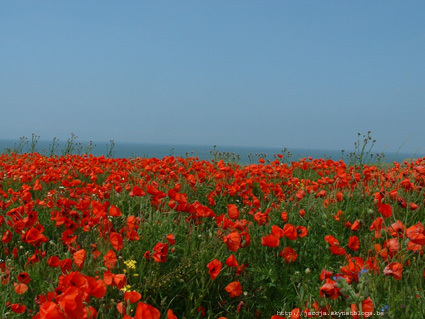 In the spring of 1915, red poppies emerged in the fields of Belgium, covering the newly dug graves of WWI soldiers. On the battlefield, Canadian doctor and medical corpsman John McCrae wrote a little poem, “In Flanders Fields.” It became the most famous poem of WWI and is beloved by all US soldiers. It is a poem about men and flowers. Inspired by McCrae’s poem, American Moina Michael wore poppies to honor the war dead—representing Europe’s wild red corn poppy, Papaver rhoeas. She also began to sell poppies to raise money for disabled veterans. Her idea was a great success and spread to several countries. Today it’s impossible to defend the myth that US men don’t like flowers, or to argue that the red poppies (sold by war vets to aid disabled veterans on US Veteran’s Day) are not worn and appreciated by real men! Readers, please do whatever you can to eliminate this myth.